Is it B, B or A? It was only after reading through comments and reviews from various online forums, I learned that there are many features and functions available in built-in ovens. Terms such as pyrolysis cleaning, catalytic self cleaning, tangential ventilation got me really confused. Pardon my ignorance...for the past few years, I have been using this simple, small (20 litres) table-top oven with only a set of heating elements at the top; whereas even the most basic built-in ovens have got top, bottom heating elements with a fan. To make things more puzzling...different brands use different terminology when it comes to naming the numerous cooking functions available..eg. Traditional Pulsed, 3D hot air, Multi-cooking sounds different but they actually refers to the same function. I had to study and compare the various catalogs in order to fully understand the differences. Besides the price, the main selection criteria when it comes to choosing an oven for my 'new' kitchen will be the oven door! The oven door has to be sturdy and will close tightly. The oven should come with tangential ventilation, ie, when the oven reaches a certain temperature it will blow out hot air to cool down the oven. I am also looking at ovens that have got triple or at least double layers of glass doors. After visiting showrooms to look at the physical products, I have finally narrowed down to 3 choices...they are the basic range from Bosch, Brandt and Ariston. They are all within the same price range, offering similar functions. In fact, they are so similar that I am not able to make up my mind which one I should get?! and what about this A? WOW! You've put lots of effort choosing an oven! I hardly vote which is the best as I didn't try the other two before except Ariston. I wish you all the best and happy hunting for a good one! Cheers! I went to Harvey Norman before. And did a comparison between Bosch & Brandt. I was advise by the sales rep that Brandt is better and Bosch's pricing is a little price for its value. Brandt is suppose to be more durable and trustrworthy. I heard from a friend that De Dietrich and Brandt are from the same company. i choose bosch their reviews are great! I just bought a Teka oven, but i did not do any product comparison, just follow to a blogger suggestion. Look at the price, I should get one from SG instead, the price here is more expensive ! Since you like baking and cooking so much, why not buy a combi oven. The oven that can bake and also steam your food. If the cost difference is not very much. I advise you to think about it. I vote for Ariston because I found that the capacity is higher. :p That was one of the more important factor since the functions and features of the 2Bs and Ariston are almost the same. I'm a perfectionist and like to be very precise, so the Bosch does it for me cos of the digital display. Plus it has all the functions you need, and the double layer glass is great for cleaning. I also like the handle bar - useful for taking advantage of the heat to dry damp towels. Let us know which one you pick, ok? Wao, your explaination already made me see stars, so did the specs. I simply thought that it would do if the oven has internal light (mine don't), has top and bottom heat and no hot spots. Now I love to bake chicken, so as long as can bake chicken and cake and bread and cookies, will do lah. Also easy cleaning. haha, doesnt help u much ya? My gf swear by Ariston. I've not own any built-in so no comments from me. Good luck in your search. I follow your blog and with regards to your latest post on the choice of ovens... I am a Food Technologist Baker and if you require any advice on which oven is suitable for you, please do not hesitate to email or contact me directly. It is my pleasure to help budding bakers. I know why you are torn between the three ovens. they are indeed very similar. Since that is the case, I will choose the one that has the longest (or better, eg 1 to 1 exchange) warranty as I would expect a built in oven to last much longer than a table top oven. HHB, Love your blog. I honestly don't really know the 3 brands u're talking about except the Bosch. If it was me I personally would buy a convectional microwave oven so you can have a microwave and oven. When I was living in Malaysia my mom only had a convectional microwave oven and honestly I love it and I miss it. When I ever change my appliance here I think I would love to get another convectional oven. NEL, I like the digital clock too! Thanks for the tip on drying damp cloth on the handle, I have never thought of that! Sherlyn, most built in oven comes with a light, that's why I didnt put it as a criteria. As long as the oven comes with a fan, there shouldn't be hot spots. Bakertan, yes I am looking for a durable oven. Thanks for the tip, will take that into considerations. dotz, thanks for sharing! Looks like Ariston is a good brand too. I would have gotten it if the promotion (selling at $569) is still on! Brandt has my vote. There is something very mesmerising about large glass oven doors so I could see how it is cooking. And Brandt has the largest glass pane and in terms of aesthetic, totally is a winner! I vote for Ariston. Most of my ex-teachers used this. All 3 ovens u shortlisted look good, so i understand your dilemma. Good luck with your choice! I chose Brandt. Just find it is better and is made in France, imported one though slightly more expensive. temp is quite accurate. althou i agree its diff to gauge the odd degrees. i just put a thermometer inside to ensure accuracy. gosh i never knew my oven door can be removed?? hee.. maybe when i am free i will go figure it out cuz it doesnt seem really easy..
one thing about the timer, i read online you should not force the dial to 0 after you are done with baking. because after some time it will become spoilt. yah i think brandt does have a bigger glass door for viewing ur bake. I have been a faithful follower of Ariston. Been using this brand for more than 25 years. This is my third ariston oven because I buy a new one when I moved house and didn't carry the old one along. So far I've no complains regarding it. Wouldn't go for Ariston because of the smaller window and the fact that it's Italian. Would personally go for either of the Bs. i remembered going through the same tough decision as you. I chose the borsch simply bcos its the cheapest of the lot. I don't bake alot but i like it. I heard that the maintenance service is bad and slow should the ariston oven breaks down. But then again, i heard the ariston oven performance is good. My friend bought it, and fell in love with it. I can't really comment on brandt tho. If you happen to choose brandt or borsch, remember to buy it from a local shop in your neighbourhood, much cheaper than getting it from the big shops like harvey norman etc. I switched from a baby belling oven to Ariston 3 months ago. I got the one with an additional rotisserie mode. Yes, I agree with you, the other functions like multi-cooking, fast cooking etc are not really necessary. I must say the fan mode is useful esp for cookies. So far, i love my Ariston, and appreciate the amount of space for baking as compared to my table top baby belling. I got mine from Mayer during their promotion. You might want to check it out there? Plaza sing has one. Thanks Jane! I also realised that the temperature control knobs are not that precise for most basic ovens. Tracy, thanks for the info. I went to check out Mayers at Plaza Singapura, but was told the promo is over for this oven model, and the next promo will likely be next year. busygran, Cathy, thanks for sharing :) I am quite torn between Ariston and Bosch now! mother hen, yes yes, I will be getting most of my appliances from neighbourhood shops...including my stove. Ching, thank you for your info! I am planning to get my appliances from my regular neighbourhood shop...Goh Ah Bee (is this the shop that you got yours? ), they provide free delivery, and no deposit needed, just need to give them a call to place order, delivery is always on time too. They are selling Bosch and Brandt oven a hundred dollars cheaper. Will see whether I can get further discount since I will be ordering washing machine, fridge and stove from them too. Bosch is my vote. Maybe bcos I get it use it once at my friend's place and I find it has a even temperature and the loaf came out perfect. I bet you are still torn b/w the choices, but I think it's alright, bcos these 3 are pretty similar and you can't really go wrong with either one. Good luck! Hi HHB, I'm a chef & an ambassador for Bosch home appliances in KL. I have an Ariston & another good oven at home. i teach using Bosch ovens. I find that the 3D hot air function that Bosch have is fantastic. You can have 2 trays of cookies baked in one time without having to change trays in the middle of the baking. Wherelse in the Ariston oven, with fan assisted, you still need to change the trays for an even heat distribution. Another point to consider is the after sales service from the distributor in spore. It's good to know that your appliances will be well taken care after the warranty period. Tough choices but whichever oven you decide will be good as these 3 are good ovens! 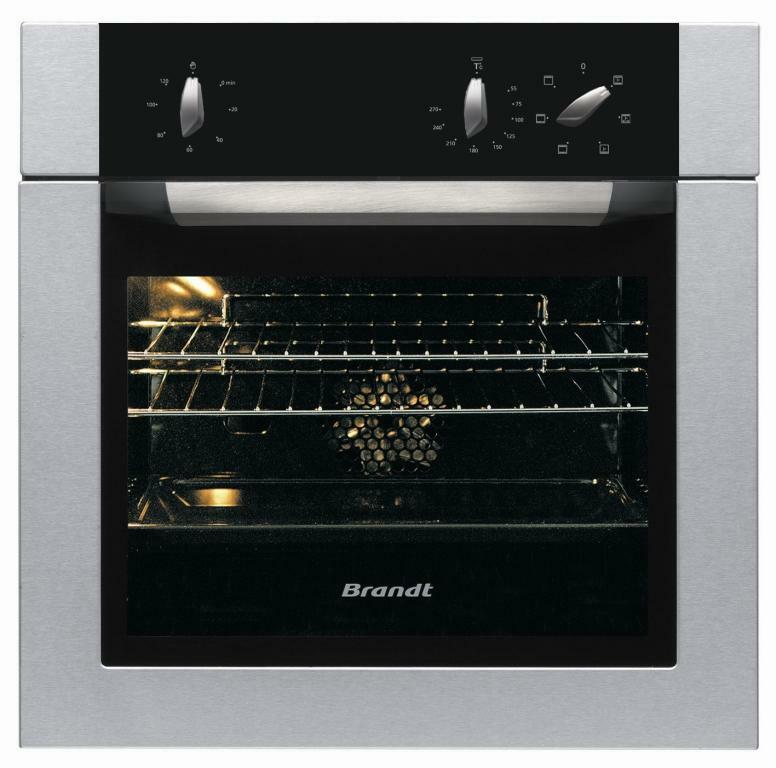 I also looking around for oven as my house coming early nxt year.I shortlisted Brandt FE811XS1 as it have the basic function i like + comes with optional catalyst cleaning panels (about $150) if you need it in the future. Perhaps you can come the price by looking around and go to Harvey Norman to see if they can match the same price. As Harvey Norman comes with extend warranty and best to extend warranty since repair is exp. Brandt comes with only 1 year warranty. Can you share with me what's the simple oven u have been using? Am looking for a simple oven since I'm a novice and just started getting interested to try baking bread and cakes. But wonder whether those simple ovens ( < $200) produce good results? Saw severin and kenwood, both sellig at $178 in Tangs, but can't decide on which one. Any opinion would be good. Thanks! So that I don't end up regretting the buy. Alina, thanks for your advice! I did read about the not too good reviews of Ariston after sales service. Thanks for the info on the 3D hot air function. This is certainly something I am looking for! Hi Anonymous, my table top oven is a Tefal. I bought it in 2006 at around $250. The temp knob broke off within a few months, but I could still turn the control without the knob. The heating coil is located on top. There is no fan but there is a light bulb. My oven is on the 'cool' side, and even though I preheat to the right temp, once I put in the cake, the temp will drop by 20degC. The oven is so small, it can't even fit in a 9 hole muffin pan, and you can only bake cookies one tray at a time. There are hot spots in the oven, so I always have the turn the tray/pan around to ensure even browning. I think the most important thing to look out for when selecting a small oven is whether the door is sturdy and make sure it close tightly. Do get an oven thermometer, it is a must. Did u check if the Ariston has auto timer off? I just bought FZ990IX during a recent promo because my auntie told me FZ61.1iX does not have auto timer off. I just want to remind you to check the widths of the oven as some trays are rather long and can't fit. From the pictures, I can't gauge. Using a tabletop myself, I do have that problem. Being to bake 2 trays is also very useful when you need to bake bigger batches as I sometimes do for my kid's class outings. Hope what I say is useful for you. Happy HomeBaker, I have to thank you for posting this because I am also researching for an oven for my house next year. I have not done such a detailed research like you but I am considering Ariston or Brandt. 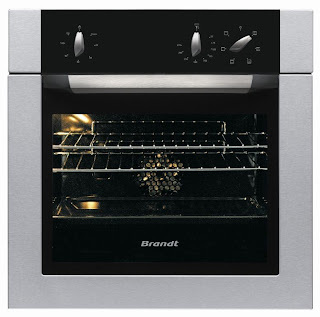 I heard many reviews frm Ariston users that it has been good so far but Brandt seems to be equally reputable. I like that Ariston has a larger capacity. In fact I'm considering the even larger of the Ariston. HHB, I may be prejudiced but I don't like Ariston. I changed my Ariston after 2 years because it was heating unevenly. I went totally out of control and bought a De Dietrich and have been happy since. I would think Brandt or Bosch are good. My friend had good review about the Bosch. My experience tells me for things like these go for the best you can afford. Don't stinge because when you regret, it is not easy to get rid of them. Shirley, thanks for sharing your experience with Ariston. De DDietrich is certainly a good brand. I bet any of these three ovens are way better than my table top oven, besides uneven heating, the temperature is almost 'uncontrollable' ;) After looking at the various brands of built-in ovens, I am starting to wonder how I could bake anything with it? But, I will still be keeping my oven...as it is still working well for me. I read you blog for a while and really love it. First, i enjoy following your baking method as i also din invest a lot in baking item. And i like the fact that u r rather detai even in selection of item like the oven this round, for lazy person like me i can juz follow when i select my build in oven next time. Thanks for sharing. But I do like the design of Ariston, altho I never heard of this brand before. And it's the cheapest of the 3 + 6 cooking functions. Pls let us know how reliable the oven is, after you use it. I was torn between a Teka and a Bosch. Well, not exactly was, but still am. It's really cheap in Singapore, even when it's converted to RM. The Bosch u selected is sold at RM3.8k here. It's super duper expensive. Full digital versions for Bosch are almost 7k here. Can't wait to hear reviews from you regarding the oven. I had never owned a build-in oven until I bought Bosch but I am not very satisfied with its performance. Initially, I had a lot of bad experience using it as despite the additional baking time was added, the bottom of the cake was always not cooked. I called the technician to repair but he claimed that this oven took time to heat up. Instead of 15 mins preheat time, it had to take 30 mins. One more thing, I always have to use bottom tray else, the cake will not be cooked at the bottom. The 3D fan is also giving me another headache, each time I turn on, it always causes the cake over burnt. I'm not sure whether my problem with Bosch oven only confines to my oven or generally, Bosch oven has such performance issue. Just for your reference. Hi wendyywy, I didn't shortlist Teka as I couldn't find much reviews on it, probably it is relatively new as compared to the other brands. cynthia, thanks for sharing your experience with Bosch. To preheat for 30mins is way too long. Too bad, my oven has already been delivered. Hopefully mine works well. May I know which oven thermometer did u buy? From where and price? Just bought a countertop oven. Thanks for replying! Hi Anonymous, I got my oven thermometer from Phoon Huat. I cant remember the exact price, it should be around $15. What brand of yeast do you use for baking bread. I wonder what other yeast that I can try and whether it can yield better tasting bread. I usually buy Saf-Instant Dry Baker's Yeast from Fairprice. But I usually can't finish the whole sachet at one go since the most I use is 2 tsp for 2 loaves of bread and got to throw the rest away as the yeast seems to be stay fresh at most 4days after opening. It's written on the box that the yeast must be used within 48h once the sachet is opened. Now, I am thinking of baking no knead bread, and such bread requires even less yeast. I always wonder how long those yeast sold in bigger packaging will stay fresh after opening cos nothing is stated on their packaging as to the freshness period. Hope to see your sharing on the yeast to use. Thanks so much! Hi, I came across your blog while searching for review on oven. You have done a very detailed comparision and the information is useful for me. I have some questions here. May I know what "Full width variable grill" of Bosch's oven and "Baking (rear heating and fan)" of Ariston means ? I hope to get one that come with the function of top heat without fan which I think is suitable for baking kueh lapis. Hi Anonymous, I use the brand Bake King that comes in a plastic container. After opening, I will store the whole container in the freezer compartment (the yeast will not freeze, it will still be in granulated form). The yeast will stay fresh for at least 3 months. Hi JL, from Bosch's online catalog, "Full width variable grill" refers to: "Enables you to grill large portion with precise temperature control. For added efficiency grilling is performed with oven door closed". 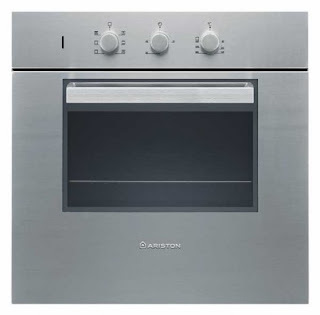 As for Ariston "Baking (rear heating and fan)" refers to "The rear heating element and the fan come on, guaranteeing the distribution of heat delicately and uniformly throughout the oven." Ariston has the "Gratin (top and fan)" function, but I am not sure whether it is good for baking kueh lapis? Mayer's warehouse sale is from 18-20 Feb 11. 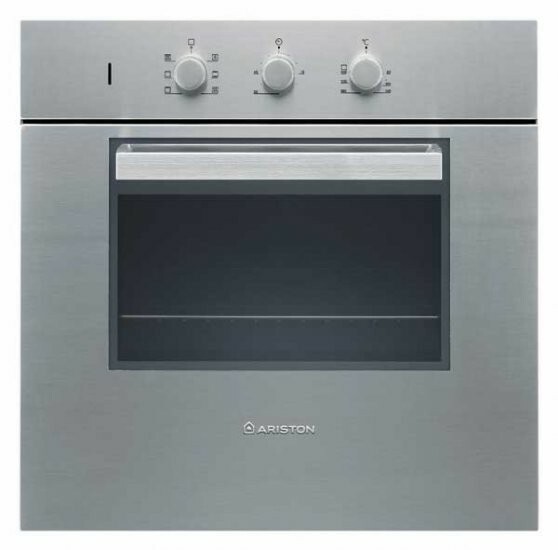 Just bought the above Ariston BI Oven Display set for $529 +$30 delivery. KitchenAid mixer is going for $659 - usual $889. Hi, HHB, may I know whether Bosch's oven come with top heat ? I asked this. Ecause need to bake kueh lapis. Thank. Hi Can, it comes with a grill function where the heat is from the top, but I do not know whether it is suitable for baking kueh lapis? Hi, thank. By the way, any feedback on yr current Bosch oven? I am considering between Brandt n Bosch. May I know where u get yr oven n price? Thank. Hi , Parisilk sells baby belling ovens . Hi, it depends on your preference...I will still choose Bosch as I find the digital timer very useful! Thanks for great info rdgs the oven! Mmmmuuuuaaaccckkk! Hehe, I m looking for stand mixer which can do both bread dough n cake. Wondering which mixer is good. Hi, I do not own a standing mixer, I am using a very old no brand handheld electric whisk. I am afraid I am of not much help. Hi Zoeann, I bought the bosch oven from neighbourhood electrical shop, it is cheaper, I paid less than $700. Hi HHB, it's my turn to choose an oven! Could you tell us whether the Bosch has performed to your expectations? Where cn I buy these ovens? jq, u can get them from major electrical stores, or even those hdb electrical shops. Hi happy homebaker! Great post :) I'm also considering which built in conventional oven to get. May I know what made u choose the Bosch in the end? And how accurate is the digital timer? My mom recommends an Ariston while I've read good reviews on the Brandt 811. Hi Sharon, I was deciding on Bosch and Ariston, but decided to go for Bosch as I could get it at a cheaper price at HDB neighbourhood electrical shop. The digital timer is very accurate and I find it very useful. Thanks for your reply. I'm very much a novice in the kitchen. Thinking to get a built in oven to cook simple dishes like baked rice, pasta, pizzas, grill chicken wings and bake the occasional cookies or muffins. Either one of the 3 models listed here will be sufficient to meet my needs I suppose? 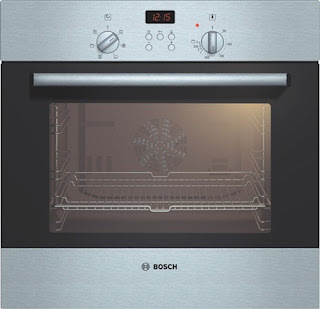 Sharon, my Bosch oven is the most basic model just like the other two brands, I suppose they will be able to meet your needs...but it is still best to check the higher range as well in case you may need some of the functions for your future needs? Hi Happy Homebaker, which Bosch model u r using now? Hi Joveal, I am using Bosch HBN331E2J. Thanks for sharing your experience. I was running through the posts. I am looking to replace my 1.5 year old electrolux oven. So now I am looking at the Ariston and Brandt. Looks like the their prices have deviated alot over the past 2 years. Brandt basic oven is going for $1050 according to Goh Ah Bee. Whilst the Ariston is going for 599$ with the latest promotion. After having terrible experience with electrolux uneven heating issue, I really value even heat distribution on traditional bake mode (with top and bottom heat only). I am thinking of installing a built-in oven soon. Kindly advise me which model did you finally settle. Which model would you recommend to me? I am totally lost when built-in oven is concern. Where do I engage contractor to do up the box? You may want to visit harvey norman @ millennia walk (several models on display) or major electrical stores to check out the various models. I got my renovation contractor to do up the kitchen cabinet for the oven when I did my home renovation, before that I was using a small tabletop oven. You will probably need to re-do one part of your kitchen cabinets so as to fit in the oven. I am sorry I am not able to advise on this issue. Thank you HHB for your kind response. I hope you will not mind to share why have you opted for a built-in rather than a portable oven (portable such as Rowenta which got very functional features too). I bought a Rowenta OC7868 last year only. But I love a built-in cos' I am seriously into baking recently. I was advised by Harvey Norman sales staff that some opted for built-in because the oven which is placed inside a wooden cabinet contains heat better and higher heat, thus producing better bakes as no heat was lost. Wonder is this true. How was your experience now with your built-in? Did your food turn out good? I am also quite torn as to whether should I settle for another portable one or built-in type. My previous tefal tabletop oven was very small, only 20 litres, can only fit in a small baking tray, and the temperature was not stable, once the door was opened, the oven temp may drop as much as 20 to 30 degC and took forever to go back to the original temp. I couldn't get a bigger tabletop oven like Rowenta, as I kept my oven inside my cupboard, only took out when I needed to use it (I do not like to clutter my kitchen counter). So built in oven was the best option for me especially since I was doing the renovation. - I can select, top and bottom heat, top and bottom heat with fan, top heat only, bottom heat only. These functions are very good as they cater to different types of bakes, eg cakes, cookies, pizza, grill/roasting. - The other function that I really like is the digital timer, very very handy. There's some hot spots for this bosch oven, but not so bad as compared to my tefal oven...at least I don't have to turn my trays/pans mid way during baking. The oven temperature will not drop so much if I were to open it. The only downside is, the oven walls are coated with enamel, whereas my tefal came with self cleaning walls, no stains and no cleaning required. I am not sure about the quality of my bakes...I don't find much difference as my tefal oven also gave me almost same results. However, for my case, I think it is nothing to do with the type ovens I use, rather it is because I am lacking in cooking or baking skills especially I only bake very simple cakes. I can only advise that if you prefer a built in oven, there's space for it (must also take into consideration the power point/socket for this oven, may need to do some electrical rewiring); and you are prepared to spend time and energy to do up part of your kitchen cabinets, then go for it! Which electrolux oven did u use? Im planning to get EOB2400AOX. Hello! Ur blog is really useful especially now when im in search of an oven. U mentioned that the oven is 52litres? I thought its 67litre from bosch website? And u also mentioned that u can select top heat only, does it mean this oven can be used to bake kek lapis. But i dont see any top heat only function on the oven. Do ur cookies come out crunchy? The one i bake in my old oven comes out chewy and soft all the time no matter how long u put it in. Im no expert baker but love to bake cos i love sweet treats!!! And one more thing, does ur oven door open and drop loosely down? Cos i went to courts, harvey norman, they drop down loosely, but the one selling at unilite and lioncity was more solid. The oven door stays whichever angle u put it on hold. And the inside oven door looks slightly different but its the same model. Pls give me ur advise and reviews.thank u so much!!! For any oven, it is best to get an oven thermometer to make sure the oven is preheated to the correct temperature. Hope this helps. Hello HHB, it's v interesting to read thru a few years of Q&A on ovens. I'm buying a tabletop oven because I'm not a great cook. Have been using a Turbo Broiler for roasting chicken for > 10 years. So I thought a safe progression would be a small tabletop such as Rowenta OC7891. I've read rave reviews about it. If I buy from Courts, there is a chef who allows buyers to bake their own recipes with him as consultant, indefinitely. It's S$789. Can you and any of you home or professional cooks please give me your opinion on the oven and whether Courts' chef service is worth this price? Probably Goh Ah Bee or Kong Tai may be cheaper but I haven't ask them. Hi, I am not able to comment whether the chef service is worth it...it really depends on whether will you be using the service regularly. Great post for choosing an oven. I am new to baking, can you please tell me for baking cake n breads do we need to on both i.e. top n bottom rod should be heated or not? I tried with both rods, but my cake top was always crust. When I tried with bottom rod, top part is not that nice golden coloured. My oven is Tayomi OTG n my baking is always eggless. After I goggled for baking mode, am really get confused some are saying for baking only bottom rod should be heated n some says both. As you have a good experience please give me your opinion. Thanks in advance. Hi, you may want to use an oven thermometer to make sure your oven has been preheated to the right temperature before you put in your cake. I usually use top and bottom heat for cakes, bread, and I place the baking pan or tray at the middle rack to ensure both top and bottom of the cake receive even heating. if you are using only the bottom heat, you may want to place the pan at a higher rack, or, switch to top heating closer to the baking time to ensure the top of the cake is evenly browned. Every oven works different, you will need to play around with the temperature setting and adjust the baking time accordingly, I am sure you will know how your oven works in no time. My De Dietrich broke down on me again! I had it for 5 years and it has been giving problems after problem. I chose De Dietrich as my last one last me some 15 years. I guess they don't make things to last anymore. We have a few incidents of the rubber dropping of, and during the 2nd year, we have to replace the digital panel which cost as much as a table top oven. Not to mention the after sale services is non existence. I am so glad I saw your blog and will now look at the 3 choices you mention here. Like to ask how is ur BOSCH Oven faring now? Noted on your previous comment about door max holding @ 45deg n will drop if further. Like to know if 3D aAn function is indeed good? Can your lower tray still be evenly browned? How is the temp, still stable? Any issues in baking cakes? Hi, my Bosch oven is still working well. Yes the door will drop if opened more than 45deg angle. It's never been an issue for me as I don't need to hold the door wider than that. I can't comment whether 3D is good as compared to other ovens. I usually use top and bottom heat for most baking. I will only use 3D if I need to bake on 2 trays. The lower tray will usually take a few more minutes to brown as the top heat is being covered by the top tray. So after I took out the top tray, I will shift the lower tray to the upper rack and let it bake for a few more minutes. I don't have to rotate tray or cake pans even if I use just top and bottom heat. The temperature is still stable. I can understand your frustrations as I used to have the same problem with my previous tabletop oven. I didn't mind having to rotate the trays or cake pans to ensure even browning, my only issue was with the unstable temperature. Hope you can find a way to get around the problems you faced with your oven. Hi, I jus had the same oven installed, can wait to use it after my sink is ready. Like to ask do we have to heat up the oven 1 time first before we go for actual baking? Yes I did. You can refer to the manual. I also use Bosch oven just dun know why butter cake can't make it? I try to do the skewer test it's okay but when I turned out the bottom is still wet & unbaked, not sure what went wrong? I baked in the centre rack for 1 hr 20-30 mins top & bottom heat! For the chiffon, sponge & Swiss roll u also bake in the middle rack? Hi Christina, did you use an oven thermometer? Did you preheat the oven to the required temp before putting the pan inside the oven? What was the temp you use to bake the butter cake? What's the size of the cake pan? I usually use top and bottom heat and bake in the middle rack. For chiffon I use lowest rack due to the height of the tube pan. For a 7 or 8" cake, the usual temp is 180degC for 35-45mins. I suspect your oven temp was too low. Hi HHB, thanks for yr reply. I never use an oven thermometer, where should I place my oven thermometer if I want to use? As was told Bosch oven is hotter so I reduce the temp by 10degC so I baked at 150degC at 1hr 20-30 mins using top & bottom heat! Pi hv tried a few butter cakes recipe all failed & once I baked my sponge cake the the middle rack it crack another time it shrink so much after cooling not sure what happen! Hi Christina, you can place the oven thermometer on the rack on hang it at the side rack. Hope your problems could be solved after you have used a thermometer to check that the oven is preheated to the required temp. Hi HHB thanks for the advice will try it out & let u know thanks! Hi Christina, I look forward to hearing good news from you :) You may want to test first with simple bakes such as muffins and cookies to get a feel of how your oven works. Cheers!